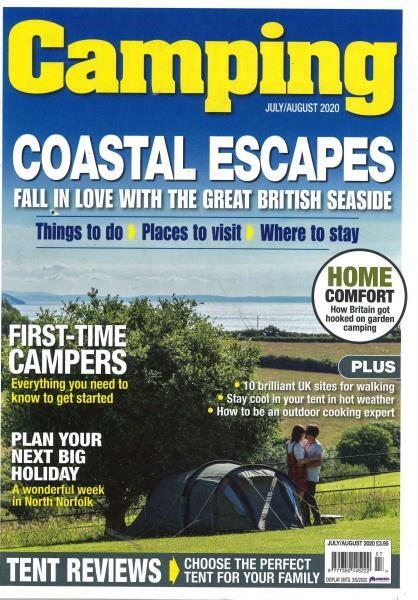 Camping, the only magazine in the UK for tent campers, has a brand new look for 2018, it is better, brighter and filled with even more stuff you and your family need to complete your camping life.Buy a single copy or subscription to Camping magazine. The new-look magazine is packed with inspirational ideas on where to take your tent and how to turn your camping trips into memorable family adventures. Plus, you’ll find even more expert advice and useful information than ever – from upgrading your tent to becoming the master of campsite cuisine.